2011 will be remembered as the Year if the Methylhexaneamine positive tests coming directly from products containing Methylhexaneamine or resulting from supplement contamination. I heeded a warning last year in my 4 part series on Sports Drinks. Let’s recap the year in review… 2010 Commonwealth Games women’s 100m winner Damola Osayemi of Nigeria… India Women’s 4×400 meter team… Rugby’s Chiliboy Ralepelle and Bjorn Basson… Footballer Simon Mensing… the New Zealand swim team… I could go on forever. Methylhexaneamine (also known as DMAA or 1,3-Dimethylamylamine) is a powerful CNS stimulant similar to a mild amphetamine and is banned by the IAAF. 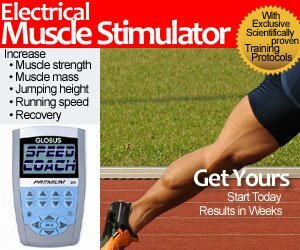 This in not to be confused with Methylxathines which is a technically a brocholdilator and considered to be a “mild” stimulant, and NOT banned by the IAAF. 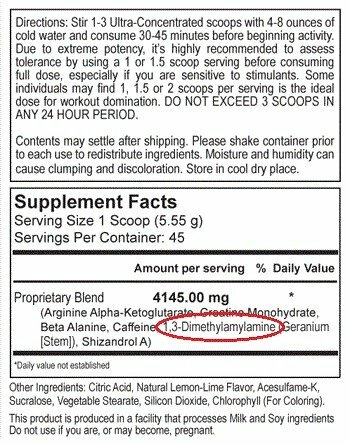 Some clearly mark 1.3 dimethylamylamine on the label, others are hidden in their proprietary blends so you have no idea of the ratios…. but it’s still there! On the left is the label for Jack3d. But note how it is labeled 1,3-Dimethylamylamine and not Methylhexaneamine? 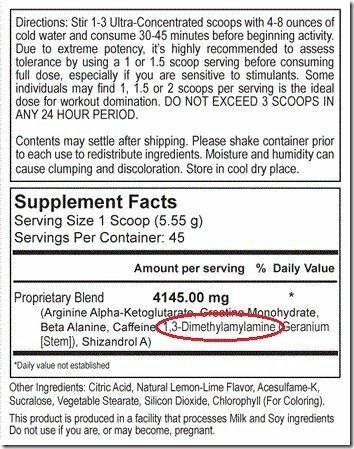 Also, if "Geranium" is listed as an ingredient on the label of a supplement, be advised that the product may contain synthetic methylhexaneamine. Everyone is in a race to build the next mind blowing energy drink, and one has to look into a bodybuilding magazine to prove my point. Dimethylpentylamine was discovered originally in geranium flowers, so that is the connection. So you have been warned! Be careful and ask lots of questions! The recent death of Fred Thompson, an Oregon State University football player may have been caused by Methylhexanamine. There are students on Facebook who are claiming he used Methylhexanamine before he suddenly died of heart problems at the Dixon rec center. I don’t want to post a link here, but google his name and you will see what I am talking about. I think this stuff should be banned. Fred Thompson, sadly, passed away due to an enlarged heart. Anon’s annonymous slander is an insult to Mr. Thompson and his family in a tough time.